If you would like any assistance in preparing for your application or interview, please contact MGSM Careers to book a one-on-one careers coaching session. Careers coaching sessions are available on Tuesdays at MGSM North Ryde campus and on Wednesdays at MGSM CBD campus, except Exam weeks. We will keep you updated with new corporate opportunities as they come in. Please note: opportunities can fill out very quickly. Please check the jobs board and your emails regularly. In the meantime, you can still search part-time, casual, and volunteering roles through various Job Sites. More information can be found on the handout: Employment in Australia: What International Students Need to Know. Do What You Can is a not-for-profit organisation who work to help the community to close the gap between education and employment by facilitating a supportive environment where members of the community can learn, practice and share their knowledge and skills. The Norwegian Australian Chamber of Commerce (NACC) is a premier platform for business networking in and between Australia and Norway. Exciting part-time position at NACC is currently accepting application. Please click here for more details on the role offered and to apply. TEDx brings the spirit of spreading ideas worth spreading to communities around the world. TEDx MQ has an exciting role currently open. They are looking for a curious, driven marketer to be 2nd in charge (2IC) to their Marketing Manager. The role offers great opportunity for working with lead management for this initiative. If interested, please see this link for details on how to apply. HURRY! the role is open and accepting applications. 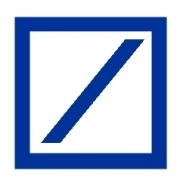 Deutsche Bank is offering an Associate Internship Program. For more information,please visit their career portal. IBM have on offer two excellent graduate programs, the "Kickstart Internship" and "Startwise Program". Each one will give you the skills and practical, on-the-job experience you need to take your career to the next level. 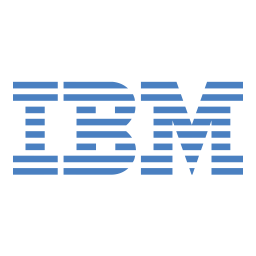 IBM is searching for top business and technical students to join their global internship program, Extreme Blue. For more information and how to apply please visit their website - click here. Internship Nepal provides students and professionals from around the world with dynamic, effective and practical focused internships. Their business internship is open for driven students, with an entrepreneurial mindset looking to make a difference in the local community. The program duration ranges between 2 - 20 weeks allowing you to immerse yourself within the business context as well as the local Nepalese community. To learn more and how to apply you can do so by clicking here. Established in 2016, Wenlock Capital is a private Global Equities boutique investment manager. 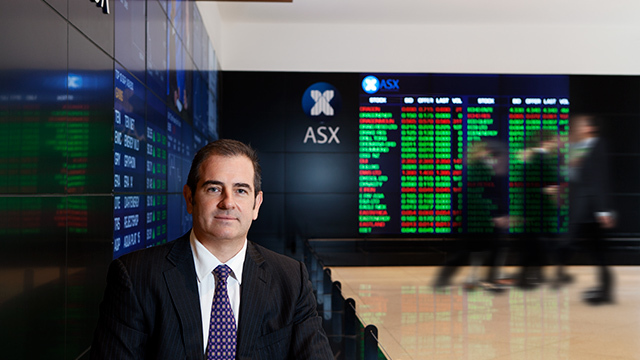 They are based in Sydney and manage the Wenlock Global fund for retail, wholesale and institutional investors. They are looking for a Digital Marketing Intern to help grow their online brand presence. This internship opportunity is for 3 - 6 months. If interested, please visit here to know more about this role and to apply - send your CV to npatel@wenlockcapital.com.au with a cover letter detailing why you believe you are the right candidate for the job. Founded in 1837, Procter & Gamble (P&G) is world leader in a wide range of personal health/consumer health, and personal care and hygiene products; these products are organized into several segments including Beauty; Grooming; Health Care; Fabric & Home Care; and Baby, Feminine & Family Care. Following internship programs are accepting applications at P&G, please refer to links for details and to apply. Their Graduate program is currently open in Australia and accepting applications. Please refer to further details here and apply, if interested. 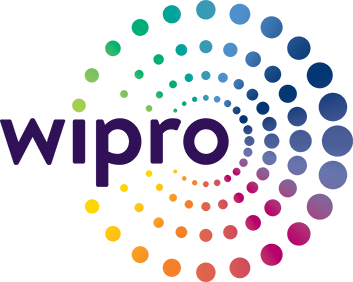 IBM has an exciting opportunity for bright and inspired graduates to join their world-class leadership and development program - "Consulting by Degrees". This program offers tailored mentoring, education, and practical experience to grow your potential and accelerate your career. It is open in South America (Argentina, Brazil, Canada, Chile etc. ), Mexico, USA and Europe. For more information and how to apply, please visit their program page by clicking here. RR Donnelley are a global provider of integrated communications founded over 150 years ago and presently collaborating with more than 52,000 customers worldwide. Their Leadership Associate Program on offer is a 24-month program, providing you the chance to fully develop your potential across different functions or business units with the support and guidance from senior leaders. Upon successful completion of the program, you’ll be placed into a management role in a specific function that suits your strengths and interests, also aligns with the company’s business demands. MBA degree in global premium schools. 5 years or plus working experience. Proficient in spoken and written Chinese and English. Strong communication & influencing skill and leadership potential. For further details of the program and how to apply you may refer to the embedded brochure and job descriptions. Siemens is offering a Finance Excellence Program on an ongoing basis in Australia. Please note: the FEP would consider sponsorship for the right candidates so this may be good news for many international students. 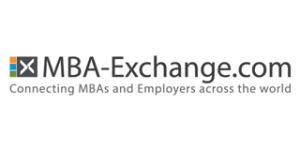 For more information, please visit the MBA-exchange career portal. Nestle is the world's largest food and drink company headquartered in Switzerland. Its iconic brands are used literally everywhere. It operates from more than 180 countries and features in Fortune 100 list. Johnson & Johnson is an American multinational medical devices, pharmaceutical and consumer packaged goods manufacturing company founded in 1886. The company is ranked No. 37 on the 2018 Fortune 500 list. J&J's popular global development program IRDP is accepting applications for EMEA region, please refer to details in below indicated position links and apply, if interested. Wipro Limited is a leading global information technology, consulting and business process services company. Globally they have over 160,000 dedicated employees serving clients across six continents. Their Global 100 Development Program offers unique opportunity to learn during five rotational assignments ranging 3-4 months in duration, that are chosen based on background and skills, career passion and the needs of the business. Founded in 1977, Oracle is world's second largest software company. It has more than 420,000 customers, and deployments across a wide variety of industries in more than 145 countries. The company develops and builds tools for database development and systems of middle-tier software, enterprise resource planning (ERP) software, customer relationship management (CRM) software, and supply chain management (SCM) software. In 2016, Oracle's acquisition of NetSuite became official, bringing together the reach of NetSuite's cloud ERP solutions for small to midsize businesses with the breadth and depth of Oracle's enterprise-grade cloud solutions for the back and front office. Oracle NetSuite's Functional Associate Consultants participate in an initial three to six-month enablement program focused on building product knowledge, consulting skills, and implementation proficiency through training and development. If interested to know more, please click above link to know more and apply. We will keep you updated with new challenges / competitions as they come in. If you are interested in joining as a board member, please visit Board Direction. When you register to receive the weekly newsletters, you will be eligible to download a free Board Appointments E-Book, which covers in detail all the practical things you need to know to gain a non-executive directorship. Sydney startup jobs can be found on AngelList. The careers office continues updating job opportunities with startups as they become available. MGSM Careers Office has subscribed to QS Global-Workplaces to maximise the career opportunities of our students and alumni. By creating a profile, MGSM students and alumni can access the membership-only platform, which provides life-long career opportunities to MBAs and Masters Graduates of the World's leading business schools, as well as a pre-screened talent pool for quality-focused employers and recruiters. Abbott is a global healthcare company devoted to improving life through the development of products and technologies that span the breadth of healthcare. To view Abbott Careers, please click on this link to find out more and apply to join their team. Accenture is a global management consulting and professional services firm that provides strategy, consulting, digital, technology and operations services. A Fortune Global 500 company, it has more than 459,000 employees serving clients in more than 200 cities in 120 countries. If you are an expert on everything business, following role is currently on offer. 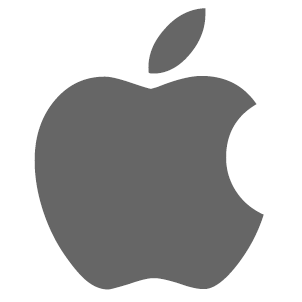 Apple Inc. is an American multinational technology company, that designs, develops, and sells consumer electronics, computer software, and online services. It is considered one of the Big Four of technology along with Amazon, Google, and Facebook. Below indicated exciting opportunity is currently accepting applications, if interested, please click link to know more and apply. 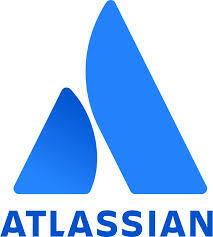 Atlassian is one of the major Australia based software company with major presence at NASDAQ. Their enterprise solution has a customer base of over 60,000. Their products Jira and Confluence are used world-wide. If you are a leader in product analytics, following Sydney-based role at Atlassian is sure to excite you. 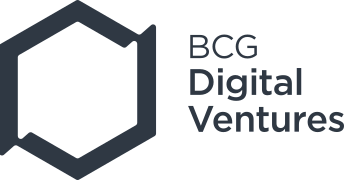 A wholly owned subsidiary of Boston Consulting Group, BCG Digital Ventures is a digital innovation, product development, and commercialization firm. They work with their clients to rapidly develop, launch, and grow transformational digital products, platforms, and businesses. They are searching for an ideal candidate to fill below indicated position. Please visit link for more details and to apply. BeThe1 is a recruitment firm with offices in New York, Tokyo, London, Paris, Hong Kong, Singapore and Shanghai. Their clients are from top fashion brands around the world. They are recruiting for below indicated roles. Please visit links for more details and apply. China Mobile International Limited (CMI) is a wholly owned subsidiary of China Mobile. China Mobile is now the largest telecom operator in the world by network scale and subscriber base, and is among the top in terms of market capitalization and brand value. They are looking for a new member for their Sales team in Australia. Please visit below link to know more about the role. 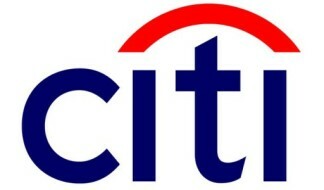 Citibank was founded in 1812 as the City Bank of New York. Citibank provides credit cards, mortgages, personal loans, commercial loans, and lines of credit. The bank has 2,649 branches in 19 countries. If you are looking to work for this global banking giant, please refer to below job link. Cochlear’s mission is to help people hear and be heard. Today, less than 5% of people who would benefit from a hearing implant have one, which means that millions live with hearing loss that substantially impacts their lives. For current opportunities please visit Cochlear Careers. Founded 30 years ago, Cover More is Australia’s leading travel insurance and medical assistance provider with more than 40% market share. The global group has more than seven million customers and employs around 1500 people. They are searching for a new member for their dynamic team in Sydney. To know more about the role, please visit below link. Deloitte is one of the "Big Four" accounting organizations and the largest professional services network in the world by revenue and number of professionals. Deloitte provides audit, tax, consulting, enterprise risk and financial advisory services. They have following roles are currently open, please visit the link for more details and to apply. Deutsche Bank AG is a German multinational investment bank and financial services company headquartered in Frankfurt, Germany. The bank is operational in 58 countries with a large presence in Europe, the Americas and Asia. Deutsche Bank is the 15th largest bank in the world by total assets. As the largest German banking institution in the world, it is a component of the DAX stock market index. They are search for new member for their team. If interested, please click below link to know more and apply. Formed in 2017, DXC Technology is one of the world's leading independent, end-to-end IT services company. They work with clients in 70 countries with help of 130,000 employees worldwide. It is a Fortune 500 company and represented in the S&P 500 Index, also listed on NYSE. Ernst & Young (EY) is a multinational professional services firm headquartered in London. EY is one of the largest professional services firms in the world and is one of the "Big Four" accounting firms. It has 270,000 employees in over 700 offices around 150 countries in the world. Below indicated roles are currently accepting applications at EY. If interested to know more, please click the links. Forrester is an American market research company that provides advice on existing and potential impact of technology, to its clients and the public. The firm has 27 sales locations worldwide. It offers a variety of services including syndicated research on technology as it relates to business, quantitative market research on consumer technology adoption as well as enterprise IT spending, research-based consulting and advisory services, events, workshops, teleconferences, and executive peer-networking programs. They are searching for a suitable candidate to fill below indicated role. If interest, please click the link for more details. Fujitsu is a Japanese multinational information technology equipment and services company. Gartner Inc. is a global research and advisory firm providing insights, advice and tools to its 12,000 clients in 100 countries. Globally they have more than 15,000 associates. They have below indicated role currently open, if interested, please visit the position link to know more and apply. 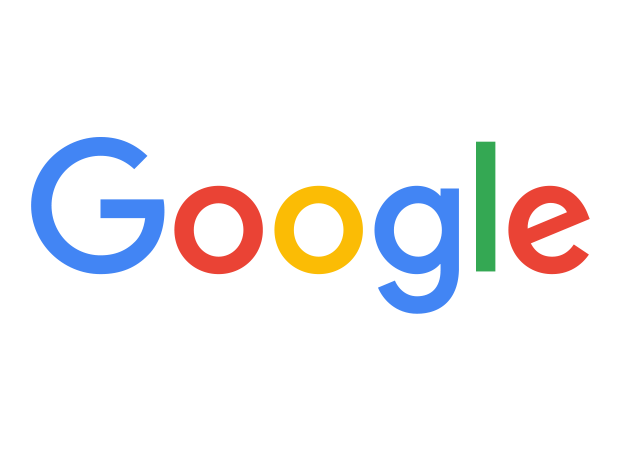 A technology company which needs no introduction, Google thrives on innovation. It has multiple products used by millions of people around the world. Please click position links for role details and to apply. 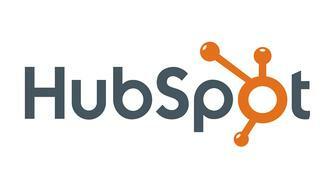 Founded in 2006, HubSpot is an inbound marketing and sales platform that helps companies attract visitors, convert leads, and close customers. Its products and services aim to provide tools for social media marketing, content management, web analytics and search engine optimization. They are looking to fill below indicated position, if interested, please click the link to know more and apply. Founded in 1911, IBM has been at fore-front of computer revolution. It is one of the largest employers in the world. There is an opportunity for someone with sound business acumen and transformation knowledge to join their team. Please see link below for more details and to apply. Applications for 2020 program open Feb / April 2019 to both international and local students of all degree backgrounds, who will be recruited into all divisions. Opportunities will be published via LinkedIn or KPMG Careers Site and are open to candidates with business or IT experience, who will be recruited directly into the MC divisions. The following suitable roles are currently open and accepting applications. Please click the role for details and how to apply. More opportunities are available on KPMG Careers. Note - MGSM Students : If interested to apply for any of the Operational Excellence roles at KPMG, please send your application complete with updated resume and cover letter via email at execareers@mgsm.edu.au with subject line bearing the role you are applying for. McKinsey & Company is an American worldwide management consulting firm. It is credited with creating business norms that have become benchmarks for success and failure of modern day enterprises. They are searching for new team members for their various practices. If interested, please click below links to find out more about the roles and to apply. Mercer is the world's largest human resources consulting firm.It has more than 21,200 employees, based in more than 40 countries, and operates internationally in more than 130 countries. Following role at Mercer is currently accepting applications for Sydney-based position. Please visit link for more details. Microsoft currently has below indicated exciting openings at Sydney. Please click the mentioned roles for more details and to apply. Founded 95 years ago, Nielsen Holdings is one of the top global information, data and measurement company with headquarters in New York City, USA. It is listed on NYSE and operates in over 100 countries and employs approximately 44,000 people worldwide. Following role is currently open with them. Please click link for details and to apply. With a history that dates back to more than 220 years, Norton Rose Fulbright is a major global law firm with offices in more than 30 countries. In US it is the third largest firm by the number of attorneys. In Australia they are looking for a Business Manager to help grow their unique new practice from ground up. Please visit the following link to know more about the role on offer and apply by sending your application to the mentioned email. Formed in 1996 due to merger of Cibe-Geigy with Sandoz, Novartis International AG is a Swiss multinational pharmaceutical company based in Basel, Switzerland. It is one of the largest pharmaceutical companies by both market capitalization and sales. They are searching for an ideal candidate to join them on below indicated role. If interested, please click the link for more details. Prospecta is Australia based software company that develops enterprise solutions for its clients to enable them take control of their business processes. They have entry-level role currently open. Please click below link for more details and to apply. Qualtrics is a subscription software for collecting and analyzing data for market research, customer satisfaction and loyalty, product and concept testing, employee evaluations and website feedback. It is soon to be fully acquired by SAP. 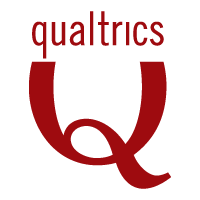 The Research Services team at Qualtrics is searching for an ideal candidate to join them. Below indicated position link has all the relevant details. 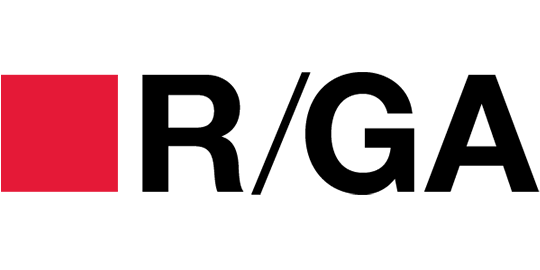 R/GA is an American international advertising agency headquartered in New York. The agency's parent company is Interpublic Group of Companies, one of the "Big Four" agency companies. R/GA creates advertising and marketing products based in technology and design. Their dynamic team is looking for new a suitable new member to join them. Please click below link to know more and apply. 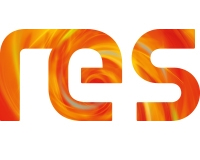 Founded in 1982, Renewable Energy Systems is the world's largest independent renewable energy company with over 16 GW portfolio and the expertise to develop, engineer, construct, finance, and operate projects around the globe. They are currently accepting applications for an open position in Australia. Please visit the link below for more information and to apply. Founded in 2005, SPP is a mid-size management consulting firm offering top-tier capabilities. They have following opportunity, if you are interested in strategy and business consulting. Please visit below link to know more. Please note: when applying ensure you send through a covering letter detailing your work experience, CV and your current transcript. 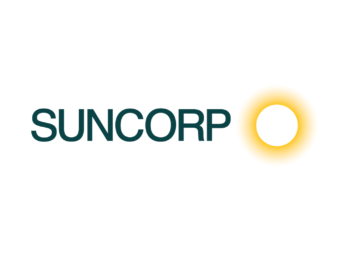 Suncorp Group Limited is a finance, insurance, and banking corporation. It is one of Australia's mid-size banks and its largest general insurance group, formed on 1 December 1996 by the merger of Suncorp, Metway Bank and the Queensland Industry Development Corporation. They have following roles currently open and accepting applications. Please visit link for details. Travelzoo is publicly-traded global media commerce company with 25 offices and more than 28 million members in Asia Pacific, Europe and North America. They publish outstanding deals from over 2,000 travel, entertainment and local companies. 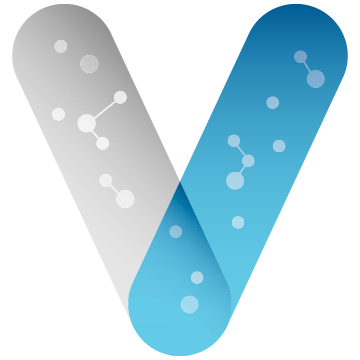 Established in 1989, Vitex Pharmaceuticals Pty Ltd is wholly Australian-owned company and a leader in manufacturing and packaging of complimentary medicines. They have below indicated roles currently open, please visit links for more details. Wipro Limited is a leading global information technology, consulting and business process services company. Globally they have over 160,000 dedicated employees serving clients across six continents. They are present in Australia since last 17 years and serve 55 top companies with a workforce of 2000 employees. Their team is searching for ideal candidates for below indicated roles based at Sydney. Please click links to know more and apply. 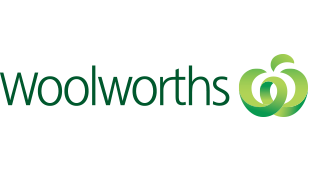 Woolworths Group is a proud Australian business, employer of more than 200,000 people. The Group manages some of Australia’s most recognised and trusted brands including Woolworths, Dan Murphy’s, BWS, Cellarmasters, Big W and ALH. They have exciting opportunities open at their Sydney office. Please click below links for more details and to apply.